Shine this Sea Dragon Mini Fluoro LED Dive Light from SeaLife on certain coral, fish, and other aquatic life forms to make them emit a brilliant fluorescent glow. 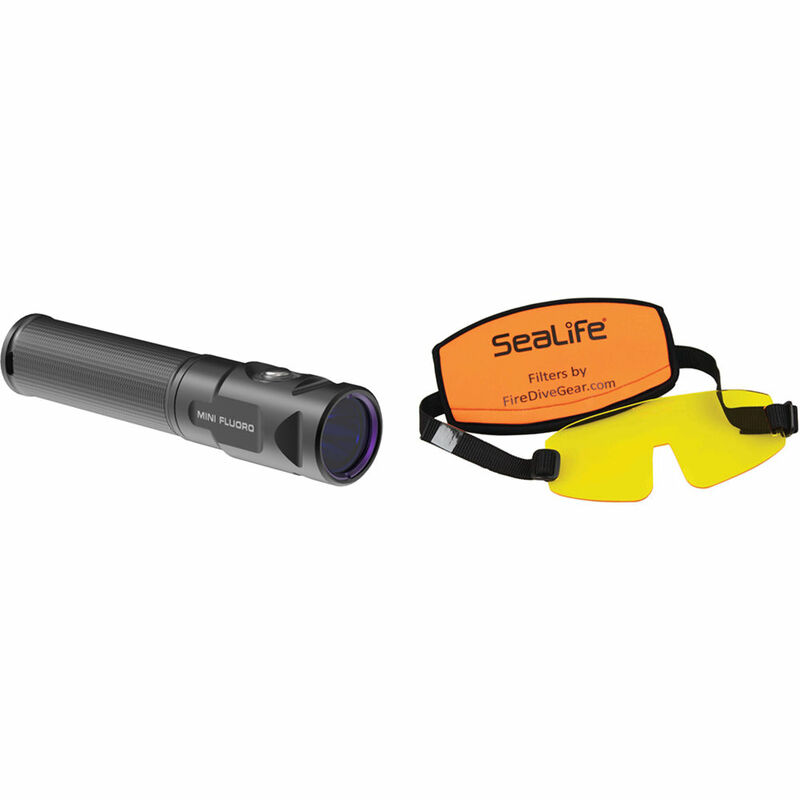 The Mini Fluoro features a CREE XT-E LED with a dark blue beam, which is close to the edge of the visible spectrum and matches the 450-460nm wavelength that stimulates organisms to fluoresce. The light is submersible to 328', giving you plenty of room to explore the ocean's mysterious depths and enjoy the radiant beauty of its fascinating inhabitants. The Mini Fluoro outputs 2.1, 4.3, or 7.0 W/m2 of power, and runs for 2.0-8.0 h on one 18650 or two CR123 lithium batteries, depending on the setting selected. Its single push-button, located on the head, enables you to turn the power on and off and cycle through output levels easily with one hand. Additionally, the light's tight coverage angle of 10.5° underwater is helpful when focusing on individual sea critters and exploring nooks and crannies in reefs or caves. The included yellow barrier filter fits over your dive mask, blocking the blue light emitted by the Sea Dragon while allowing the glow of the sea life to be observed in stunning colors. If you're capturing images or video with your camera, put another barrier filter over your lens or lens port, too. Box Dimensions (LxWxH) 9.7 x 4.4 x 2.3"